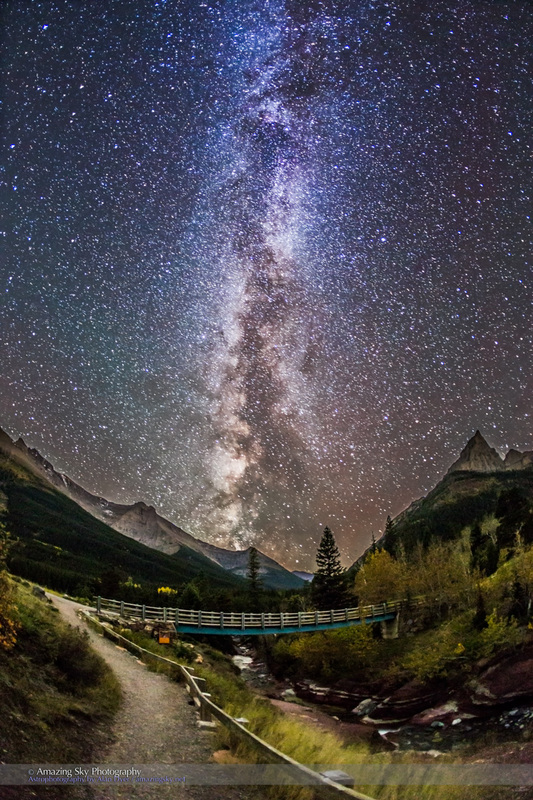 The Milky Way illuminates the trail at Red Rock Canyon, in Waterton Lakes National Park. Last Sunday night was incredibly clear. I trekked around Waterton Lakes National Park, taking panoramas at various sites. This is Red Rock Canyon, a popular spot by day. By night it is one of the darkest accessible places in the Park. Here the landscape is lit only by the light of the stars and Milky Way. 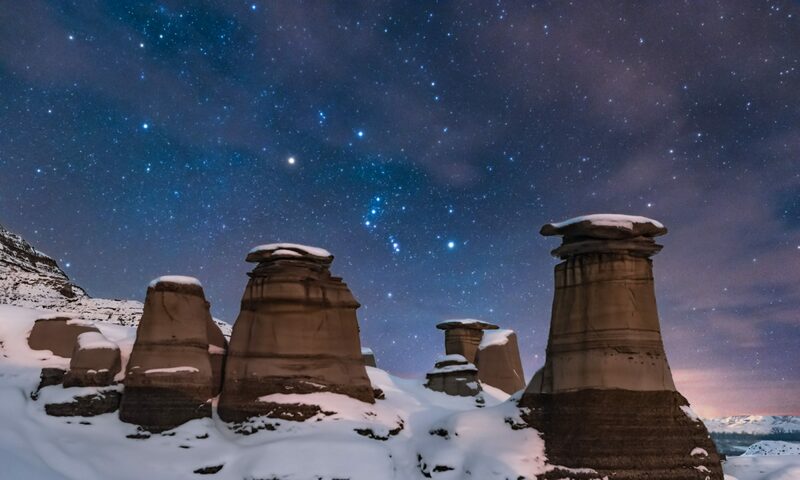 – one exposure was 60 seconds for the sky to minimize star trailing. – the other exposure, taken immediately following, was 3 minutes for the ground, to bring out detail in the dark, starlit landscape. I blended the two exposures in Photoshop, creating a single image with the best of both worlds, earth and sky.